A name that is the hallmark of quality, innovation and a vast range of products for marksmen, hunters and nature lovers. More than 90 years of experience and the world’s largest range of barrels and subcalibre-tube systems as well as various crossbows are available to our customers. Lothar Walther, engineer, founded the company LOTHAR WALTHER in Zella-Mehlis Thueringen on 1.7.1925. 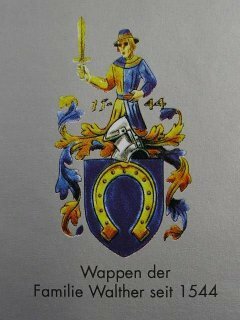 As the youngest son of Carl Walther, the founder of the world-famous gun factory, he grew up in a family which had been steeped in weapons manufacture for generations. At this time, the towns of Zella-Mehlis and Suhl were the centres of the German gun industry. The experience gained over many years of gun manufacture provided Lothar Walther with especial expertise in the production of button-rifled barrels of the highest accuracy. After the Second World War and the associated move to Baden-Württemberg, Lothar Walther once again chanced a new start in Königsbronn, in the South West of Germany. From the beginning of the 60s, he was supported by his sons. As a member of the German National Pistol Team, Lothar Walther won many German Championships and the bronze medal at the 1939 World Championships. 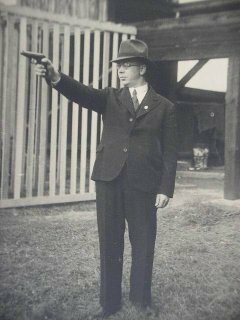 Having always competed at the highest levels in international target shooting, he had an intimate knowledge of the requirements of shooters. Klaus Walther, the son of the founder and trained precision mechanic and master tool maker, sportsman and impassioned huntsman, he ran the company up to 1996. Since 1995, the North American market is supplied by an independent company with headquaters in Atlanta, USA. Today, Dr. Frank Walther and Gerd Walther are responsible for the management of the company. Both gained broad engineering experience and technical knowledge by working for different companies in Germany and abroad. button-rifled barrels from special gun steel and stainless steel, in more than 240 different calibres for target shooting, hunting, muzzle-loading and air guns. These barrels are made for the whole spectrum of shooting, encompassing shooters with modest requirements right through to those who wish to compete at the highest international level. World Champions shoot with LOTHAR WALTHER gun barrels!